Most families in the rural communities where we work are subsistence farmers. They grow small plots of beans and corn, mostly for consumption. Because of degraded soils, they have to use chemical fertilizers and pesticides for limited yields. We train local farmers how to grow nutritious vegetables, using the Biointensive Method of organic farming. The Biointensive Method is designed to utilize only local resources and to grow more food using fewer resources. Biointensive gardens use less water and continually improve soil quality through composting. 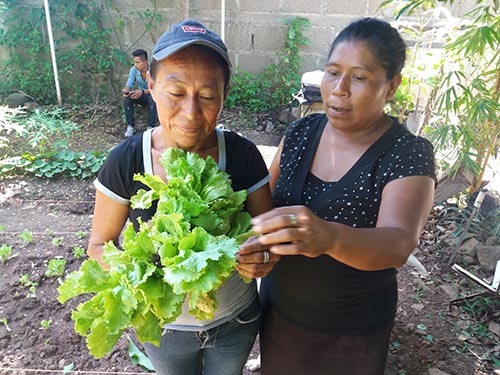 Families are able to improve nutrition and food security by growing Biointensive gardens, and they can also generate income by selling part of their production.